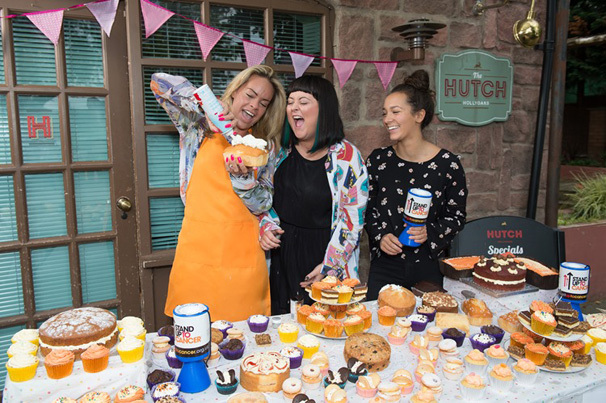 The innocent bake sale was a recipe for disaster, with Tamara Wall (Grace Black) kicking off the food fight after cheekily planting a cream cake in the face of Jessica Ellis (Tegan Lomax). Twinnie-Lee Moore (Porsche McQueen) obviously decided David Kennedy (Dirk Savage) was one cast member who could use a bit more face cream… And she didn’t go easy on applying it! Dirk wasn’t going to take that – and responded with a swift coffee cake to the chin. Kieron, who plays Ste Hay in the award-winning soap, said: “We’re Standing Up To Cancer because it’s something that touches the lives of almost everyone at some point and we want to play a part in beating it sooner. It’s so easy to get involved and help make a difference and as our bake sale shows, it can be great fun when you rope your mates in, too. “We hope others feel inspired to get their hands dirty and take on a challenge – no matter how big or small – to raise money this October. Stand Up To Cancer is a joint fundraising campaign from Cancer Research UK and Channel 4 which helps raise money to accelerate new cancer treatments to patients and save more lives.  As well as several fundraising events throughout the month, Channel 4 is running special programming for Stand Up To Cancer, such as a celebrity episode of the hit show First Dates, as well as Stand Up To Cancer specials from Alan Carr: Chatty Man, Gogglebox and The Last Leg. Launched in 2012, Stand Up To Cancer’s fundraising total has so far reached over £23.8m to fund clinical trials across the UK. Find out how you can get involved here.